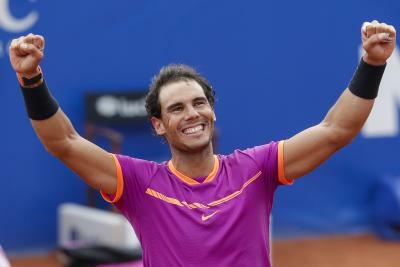 Madrid, May 14 (IANS) Top seeded Spanish star Rafael Nadal qualified for the final of the Madrid Open after defeating second seed Novak Djokovic 6-2, 6-4 in the semi-finals. Djokovic went into Saturday night’s game fresher than the Spaniard after Kei Nishikori’s wrist injury gave him a bye in the quarter-finals, reports Xinhua news agency. “It was time for me to win, it has been a long time before I even won a set against Djokovic. “It was a game where I had to play well. I played well in the first set and although I had a few nerves in the second, that was because I have not beaten him for so long,” Nadal said after his victory. “I know Novak has made some changes in his coaching staff and I am sure he is a rival who is going to battle for all of the major titles in the future,” he added.